The horror stories of children at the dentist, can be a constant worry for parents. As they make their child’s first dentist appointment, visions of nurses with bitten fingers, and screams throughout the dentist office run through their minds. No one wants their kid to be the one that mothers are whispering about in the waiting room, and nurses wish they could ban from the office forever.In order to prevent a child-driven terror, there are several ways to prepare your child for their first visit for the dentist. Here are 4 great ideas to prepare your kids for the dentist for the first time. Parents should make sure they are taking their young child to a Calgary dentist that is specifically a children’s practice. They will cater to children in ways a regular dentist’s office will not. The employees are usually experienced with nervous, scared, or unruly children and will provide techniques that can get a child to feel more comfortable. Employees in a children’s practice also tend to enjoy children a lot more and will provide better patience when dealing with them. Many children are nervous about the dentist, especially their first time. A stranger sticking pointy objects into their mouth can be pretty intimidating for anyone. Parents should strive to explain the dentist to their children in an upbeat way that helps them understand that it will not be painful, and can even be fun. Do not explain cavities, tooth fillings, or tooth removal unless a child has to have one done. There is no reason to scare them before they have even sat down in the chair. A great way to make going to the dentist a little more fun is to practice with a child before arriving. Sierra Dental recommend working on opening the mouth wide, brushing, and flossing teeth, or sitting still in a dentist’s chair. 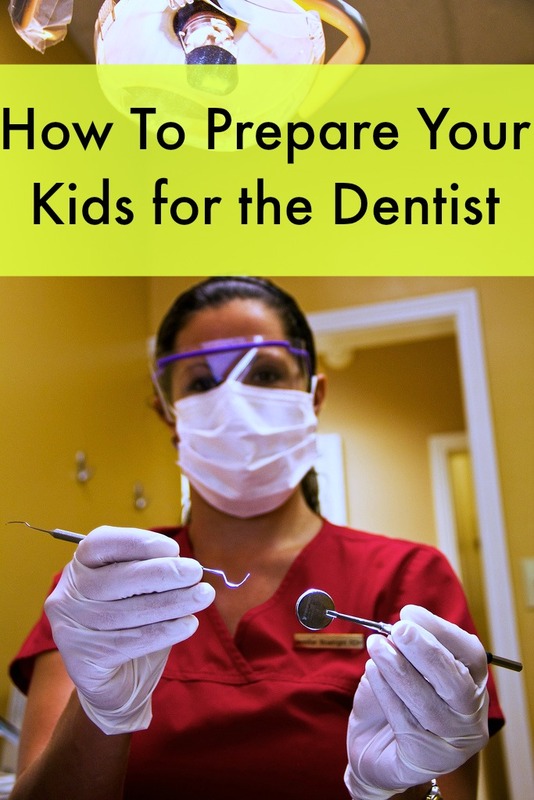 Parents can even play dentist with their children in order to help them feel more prepared. If they know what is coming, then the dentist will not seem quite so scary. The most difficult times at the dentist can be when children throws fits, cries, or screams. One mistake parents make far too often is being too embarrassed to discipline their children in public. If a child is throwing a fit, biting, or making things difficult for the dentists and nurses, take them outside for discipline, because behavior like that should be unacceptable. Taking kids to the dentist does not have to be a nightmare. If parents prepare their children, as well as themselves, then a trip to the dentist can be smooth sailing. LOL I hear you Kristen, Im not a fan either. My son always gets nervous before we go. It’s hard to refrain from telling him I don’t like to go either… but it wouldn’t help him at all if I told him that… Your prep them tips are good! I am the same way, I have to smile and put on the brave face for them too! You can say what you want but even though my first cousin was my dentist–I was petrified. The thought of a dentist petrifies me to this day. I did try other dentists–nope–still petrified!! The ideas above are worth a try or your child may end up like me-64 and petrified!! LOL the strange thing was I was fine as a child but as I became an adult I have to put my mommy smile on for my kids because I hate going now. These are great tips. I loath going to the dentist so I am pretty sure some of these would even be helpful for adults! My toddler has been going to the dentist from the age of 12 months and she goes every 6 months. If they start early it makes it a lot easier to deal with as well. I agree, my kids go every 6 months and it does get a little easier. Dentist can be scary for kids! We found one that specializes in children. They have whimsical chairs and artwork, the kids always feel more at ease.